If you’ve been following the various high-profile Senate and House races being contested in the midterm elections that are being held on Nov. 6, then James O’Keefe is a name you’ll be quite familiar with. O’Keefe is the founder and lead investigative reporter of Project Veritas, which specializes in hidden-camera videos that expose corruption. In a series of bombshell reports released in recent weeks, undercover journalists working for Project Veritas have shown Democrats running for office and their top campaign staffers confessing to all manner of political malfeasance. In just the past three weeks, Democratic candidates for office such as Tennessee Senate candidate Phil Bredesen, Missouri Sen. Claire McCaskill, North Dakota Sen. Heidi Heitkamp, Arizona Senate candidate Krysten Sinema, Florida gubernatorial candidate Andrew Gillum, and Virginia House candidate Abigail Spanberger, were the focus of highly damaging videos released by undercover Project Veritas journalists who were embedded within their campaigns. The videos show campaign staffers—and, sometimes, the candidates themselves—lying about their true beliefs on key issues, openly discussing how they have to obscure their progressive views, in order to trick voters into supporting them. And with its latest video exposé, Project Veritas has uncovered potentially illegal activity, in addition to the usual politically motivated lies. 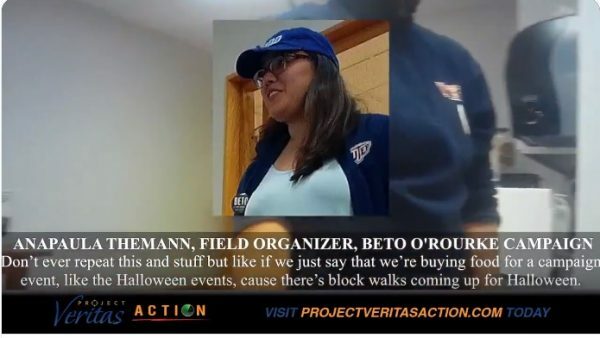 On the night of Nov. 1, O’Keefe posted a new video made by one of his undercover reporters that allegedly showed top staff members of the O’Rourke campaign discussing the use of donated campaign funds to aid recently arrived illegal migrants from Honduras, and hiding that revelation from the Federal Election Commission (FEC) by claiming the money went to fund campaign Halloween events and other expenses. Despite what one O’Rourke campaign staffer alleges in this latest hidden camera video, there are very strict laws about this kind of thing. Fundraising for one purpose and then spending the money on something else is the same sort of thing that got televangelist Jim Bakker sent to prison. Political campaigns make heavy use of fundraising via television commercials, radio ads, and other media. When an appeal is made to the public to send in donations, that donated money must be spent on what was promised. For any organization, whether a ministry or a political campaign, to take its donors’ money and use it for some other purpose, while actively hiding the bait-and-switch from its donors, raises a whole host of legal and ethical issues. O’Rourke has responded to the Project Veritas video by saying this was money donated to charity and he’s going to make sure all relevant laws and disclosure forms are filled out accurately. Let me say here, having viewed all of the Project Veritas videos made inside the Bredesen, Heitkamp, McCaskill, Gillum, and now O’Rourke campaigns, that I am stunned at the level of preparation they reveal. While much of the media has focused on the videos themselves, and what the candidates and their staff are caught revealing on them, what intrigues me most of all is how carefully these video stings must have been set up. Nobody is going to make the kind of casual confessions you see being constantly made in these videos to some campaign staffer they barely know, who just joined the team a few weeks ago. That tells me the undercover reporters doing this hidden camera filming were embedded with these campaigns months ago. These aren’t people who just showed up at the campaign office to volunteer in September or early October. This took planning over a long time. In particular, with the O’Rourke video, there’s no way these campaign staffers are talking to someone they didn’t completely trust about cooking the books to hide what they were planning to do with donated campaign funds. 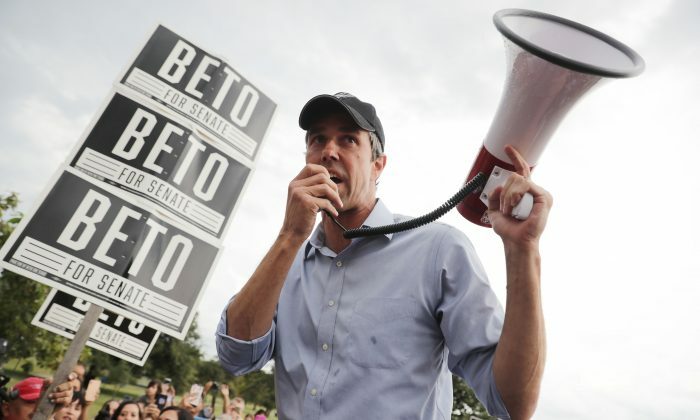 While the other videos are just politically embarrassing exposés—”Yeah, our candidate is super-duper liberal and we have to hide this from the voters and lie to them!” and so on—the O’Rourke tape is very different. These staffers are discussing potential campaign-finance fraud. Somebody really, really got “in there” and was so completely embedded and trusted that the campaign staff felt completely comfortable discussing what could be illegal activity in front of them. 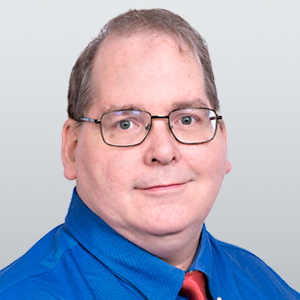 If I was in a top Democrat’s campaign right now, I’d be looking around very carefully and wondering who I can really trust and who might be a Project Veritas undercover journalist surreptitiously gathering evidence for a new report. I can only wonder—given the pace of his video releases over the past three weeks—what else O’Keefe and Project Veritas might be dropping in the next few days.